This is one of Amazon's top entries on its list of most popular bakeware items. So, here am I fretting about Pyrex made in the USA and the unreliable new glass formula, but clearly lots of consumers continue to enjoy the trusted brand and have no problems with the product. 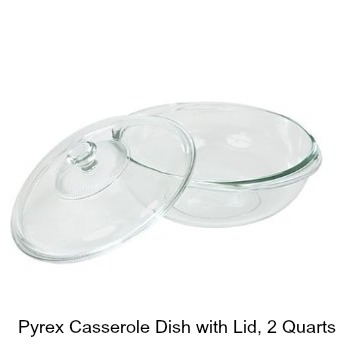 I've used my own casserole dishes from Pyrex for over 30 years and there's not a chip on them. It measures 21 cm/ 8.25 inches wide and 4 inches deep. Take great care with extreme changes in temperature as it may explode, so do not go directly from the freezer to the oven or vice versa. 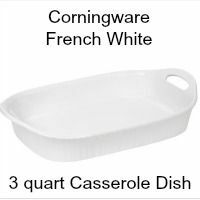 Reviewers share that this is attractive, versatile, sufficiently roomy for a family sized casserole, ideal for use in microwaves as the lid protects from splatters, easy to clean, the handles are a good size to grasp, and all in all, over 3/4's of reviewers gave this pyrex product 5 stars. If you want to be assured of safety, be cautious and treat this as a glass product and any glass will shatter when subject to temperature changes. 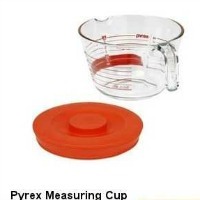 Reviewers suggest going onto ebay for older (pre 2010) pyrex products or purchasing the European manufactured pyrex which still uses the hard, original borosilicate glass formula.